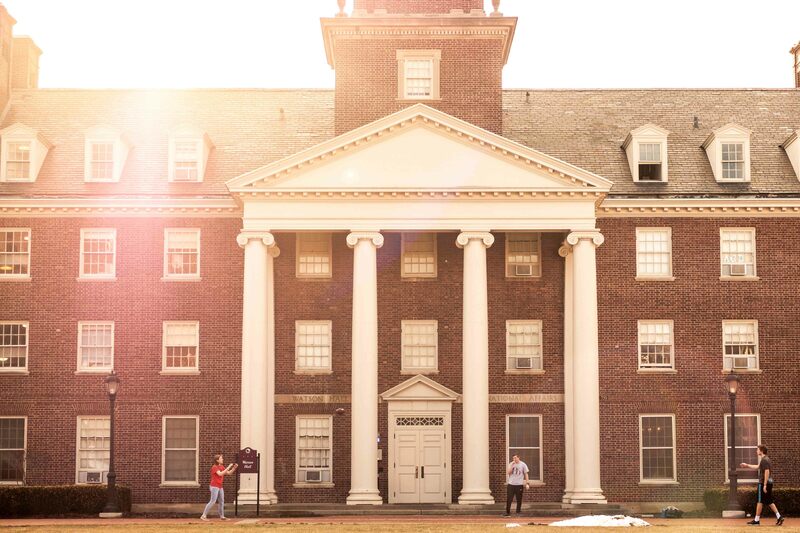 At 4 p.m. on an unusually warm February afternoon, students flowed out of their classrooms to be greeted by the glow of a low sun. 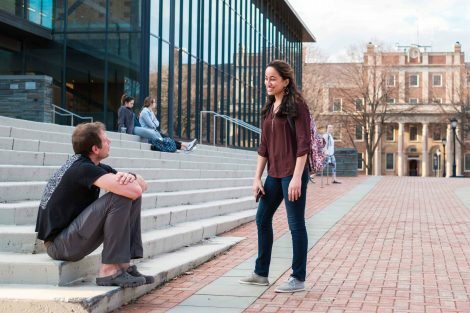 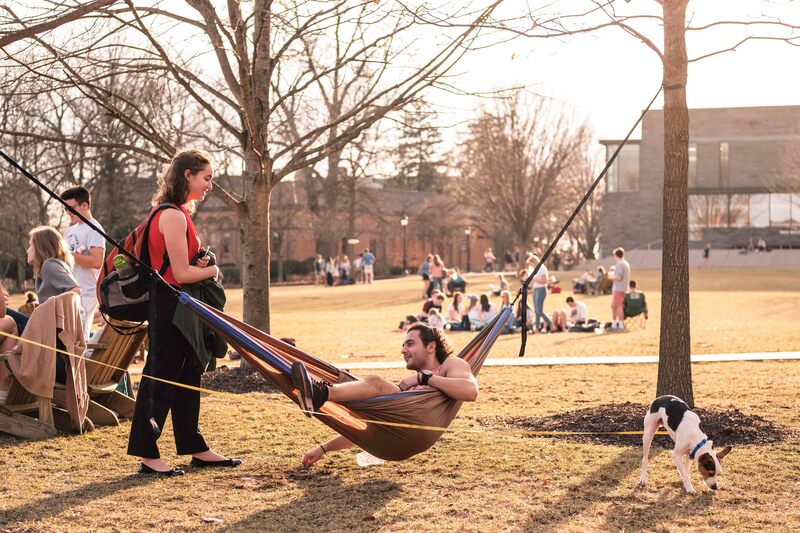 Almost immediately, the prime outdoor locations on campus became occupied with students stealing the spring-like weather from the otherwise cold month. 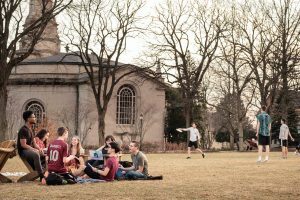 In front of Watson Hall, students tossed the pigskin around, the first of many passes and catches to be had for the year. 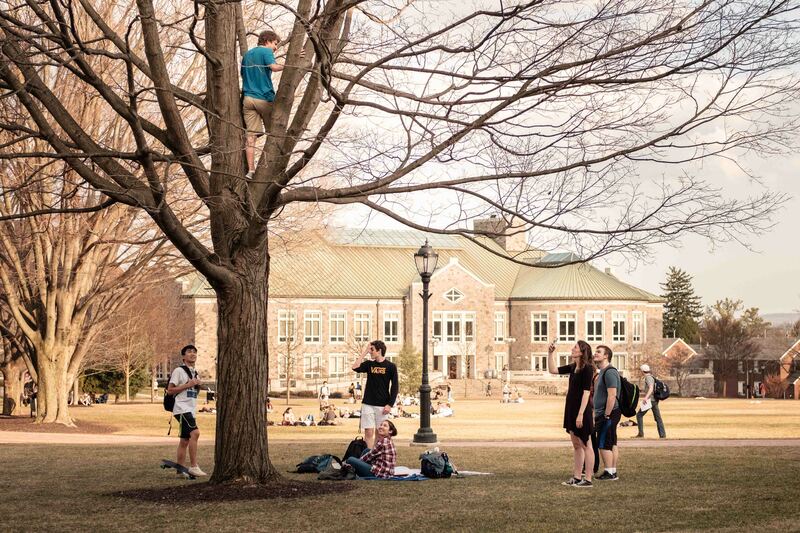 On the Quad, various scenes arose amongst friends. A group of students studying here, a lounging conversation in a hammock over there, an amateur climber partway up a leafless tree in front of Skillman. All were reminded of the warm days to come as the semester progresses, and the thought of winter was, for a day, a thing of the past.